One day I was chatting with my friend about this and that when she said, “Well, you know, there are blankets with sleeves.” I was like, “What in the world is a blanket with sleeves?” This was a concept that baffled me. I am no longer baffled. 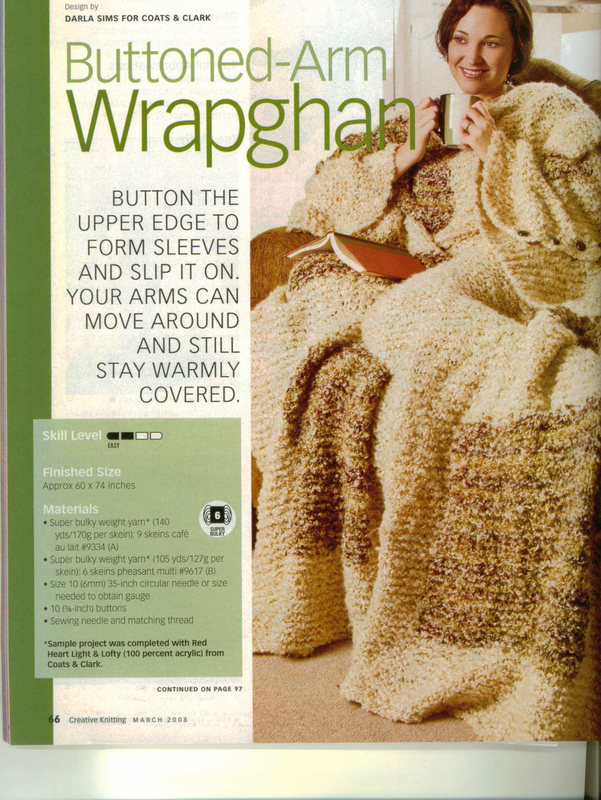 Posted in Crazy Knitting, Uncategorized at March 24th, 2008. I don’t often get to use the category tag “crazy knitting” here, but I have found an awesome subject, courtsey of JenLa. 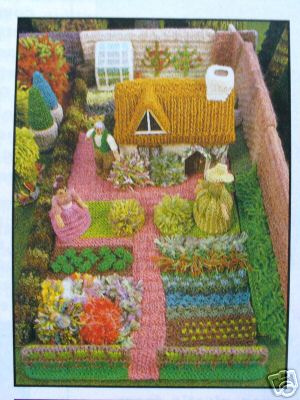 I don’t even know how I found this post* but it introduced me to a topic I have never thought of: knit landscapes. to the incredibly weird…Knitted Historical Figures. I think if I ever knit a Madame de Pompadour, I have crossed the line into CRAZY. *There should be some word coined for when you google something but can never remember the magical combination of words used to find that page ever again. So I can read when I knit, but I think I need some sort of geek contraption that holds out the book in front of my eyes (like on a helmet or something), because when I try to read when I knit, I get terrible posture. But tv…I love tv, much to the shame of my people (righteous San Franciscans who believe that tv rots your brain). And I just saw the best new show…Gossip Girl. So deliciously good. If you want to watch prep school kids in all their tv-trashtastic glory, this is the show for you. Posted in Crazy Knitting, Uncategorized at September 19th, 2007. (1) The sweater is stuck until my colleague, a knitting guru, is able to look at the bind off for the neck. Though I fear the hat will still be snugger than she wishes, it has ended up being quite a big hat, and so the options are (i) a stripe in another color or (ii) me getting another skein of this yarn. Kim! What kind of hat do you want? Stripe? If you don’t answer soon, I will knit you the hat in the photo instead. It is a samurai hat with a dragon on top. Posted in Crazy Knitting, Hats, Uncategorized at March 30th, 2006.